I think I'm in love!!! I picked up a Silhouette Deep Cut Blade last week. Admittedly, I somewhat begrudgingly shelled out my $20+ for a blade. Let's just say Prime has spoiled me so waiting a week or more for this thing was like torture. The second it arrived I tore it out of the packaging and put it into my CAMEO. I know, I know, I know - you thought it was only for the Curio (because that's what the product description says), but I'm here to tell you this thing worked like a dream in my CAMEO. NOTE: The the manufacturer has intended the Deep Cut Blade to be used in the Curio, so use it at your own risk in CAMEO. Post is photo heavy - please be patient while it loads. Now here's the thing - the Deep Cut blade can cut materials up to 2mm thick. Those are usually reserved for the Curio which is the machine that has the higher clearance and therefore can cut thicker materials. The trick to cutting thicker materials in the CAMEO is to make sure they clear the white rollers. In other words, you want the material centered on your mat approximately between the 2" box and the 11" box. It's when these thicker materials go under the rollers where you run into trouble. Believe me, I tried moving the rollers and all that jazz, this is the only way I could guarantee my mat didn't get all twist-turned around hence messing up the cut. Now let's talk about the blade itself. You'll notice unlike the regular ratchet blade, the blade depth actually goes up to 20 on the deep cut. One to 10 are part of one rotation and 11-20 are on a second. You don't need the ratchet to turn the blade, you simply turn it with your hand to change the blade depth. If the blue is exposed at all the indicator is on the 1-10 number, if only the red is exposed you're pointing to the 11-20 number. Please keep in mind there are many variations on pretty much all of these materials. Foam comes in different thicknesses, felt is available in a wide range of densities and 'stiffnesses' (forgive me I'm not sure of the technical terms here), and so on. I don't know that every single variety of felt will cut like the one tested - so for that reason please don't consider this a one size fits all. I will, however, link to all the exact materials I cut where possible. The one thing I did keep the same throughout was to cut the exact same shape so that would not be a variable in how well the Deep Cut Blade performed. The Silhouette Deep Cut Blade cut adhesive backed craft foam like a dream. Paper-backed burlap was not a problem...I've previously attempted to cut this same material with the regular ratchet blade and there was barely a mark on the burlap. The trick to cutting paper backed burlap sheets with the Deep Cut blade is to cut with the paper side up (burlap down on the mat). If you've ever attempted to cut cork with your regular cutting blade it just breaks up, even if it's relatively thin paper-back cork. Well no more! 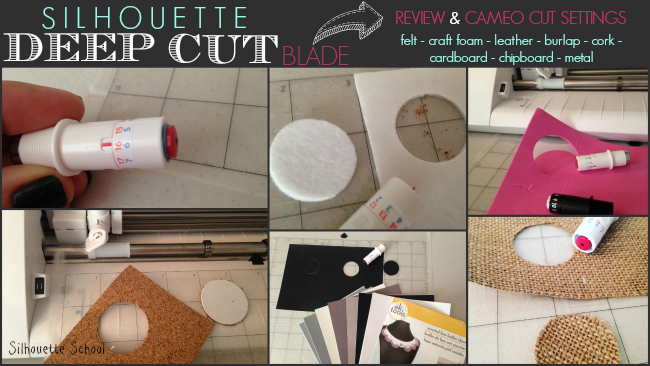 The Silhouette Deep Cut blade does an awesome job cutting through paper-backed cork sheets! I got this as a single sheet at AC Moore - it was un-branded. When I asked what you wanted me to test cut with the Silhouette Deep Cut blade you all yelled "FELT" at the top of your lungs. Whew...okay so I cut some acrylic craft felt I had laying around. There's good and bad news. The bad news is using freezer paper as a stabilizer doesn't work.at.all. You need the good stuff. I had some Heat and Bond so I used that and it worked very well on the felt. I tested it with the paper backing both on and and off the Heat and Bond and it cut well both with the felt side up and the felt side down onto the mat. The Silhouette brand chipboard is no problem for the regular ratchet blade. However, some may not actually consider it chipboard given it's thickness - or lack thereof. I tested the We Are Memory Keepers bookboard chipboard, which is .1 inch thick (2.54 mm) with the Silhouette Deep Cut Blade. I tested a double cut; a double, double cut; and even eight passes - the chipboard proved too thick for the blade. It makes sense it wouldn't cut through the bookboard chipboard since the deep cut blade is 2 mm deep and the chipboard is 2.54 mm. I also tested a thinner chipboard that's considered "medium weight" at .057" and the deep cut blade refused to cut all the way through it too. Such a bummer! No amount of double cutting with the Deep Cut Blade was cutting through the Silhouette brand Thin Metal Stippling Sheets. Fail. Giant fail...the material is too thick for the Silhouette CAMEO. I have a hunch, that while the CURIO could handle the thickness of the material, it will still be too thick for the deep cut blade. I've cut leather - lambskin leather, to be exact - in the past with my Silhouette fabric blade and it worked out nicely with some encouraging. (Update: I tested the lambskin leather with the deep cut blade and it cut well on the settings below, as well.) This time I tested the deep cut blade on these faux leather sheets. They're stiffer and not quite as thick as the lambskin. They cut easily with the deep cut blade once I figured out a double double cut is necessary. That's not a typo - double cut x2. So with all that being said...is Silhouette Deep Cut Blade worth the price? If you've been reading Silhouette School for any length of time you know how I am - I shoot it straight. 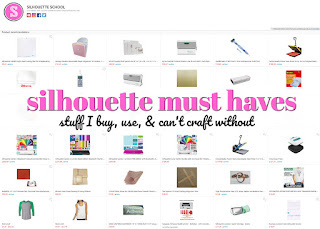 Ninety percent of the time I pay for my own Silhouette and craft supplies (yes, even my machines) to test and review. 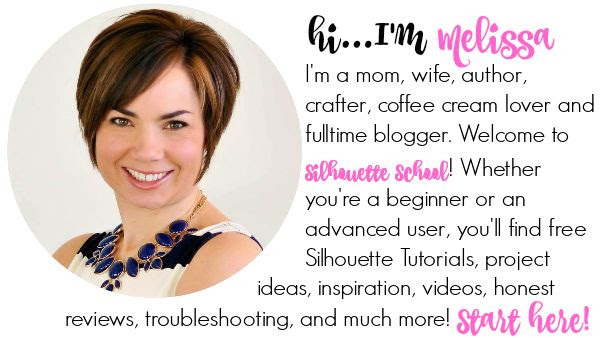 So while I'm a blogger and a Silhouette lover, I'm also a consumer - just like you! This makes me feel even more obligated to tell you if an $18+ blade or a $250 machine is worth your money. I'm here to tell you I will happily shell out $20 or so for another one of these Silhouette deep cut blades. Thanks for the info. I ordered one yesterday from the Silhouette 40% off sale after seeing your sneak preview of using this product. Can't wait to try it out. Where can you order for 40% off? Melissa, how can I use the new deep cut blade as far as my software is concerned? When I go to customize my cut settings, it only allows me to go up to a 10 on the blade settings. The cut setting on the Cameo is just for your information - cut settings must be set manually on the blade (you turn it to the correct setting on the blade). Maybe this is a tip for making your own reusable stencils: I have been making them out of projector transparancy film (100 micron). Settings are: blade 2, speed 5, thickness 33. Works like a charm! I have read about using the CB09 Graphtec Blade Holder and the 30/45/60 Degree Blades as a cost effective replacement for the Silhouette Cameo blades and wondered what your thoughts are about this. I seem to be going through blades quite quickly and always looking for ways to save money. Thanks! she has a blog post on them. good to know. I will try some felt and see what it does after I get it pressed from the terial magic I just sprayed on it to stiffen it. Any chance you could try Marine Vinyl? Melissa, I like your idea about keeping the material between the rollers. With that said then do you think the CB09 blade holder using the 60 degree blade would work the same as the deep cut blade. Me too! I'm wondering how the new Sil blade compares to the CB09. I prefer the CB09 for accuracy in tiny and delicate cuts - the benefit of the CB09 is the angle in which the blade is going through the material. I would like to know as well. I already have the CB09 and would hate to spend another $20 or so on the deep cut blade and not really need it. Thanks for the info. I had tried to cut the cutting mats thinking they would be great stencils, too. Glad you tried it because that would be a main reason I would order the deep cut. I have had success with the regular blade cutting the thins plastic sheets that come in some brands of bacon for a stencil. Thanks Melissa. Great information as always. has anyone tried the thicker chipboard? I have some ordered, but it has not arrived yet - when it gets here I will add that info in to this post. I am so happy to read that the blade can be used in the Cameo! I saw it on sale Thanksgiving morning and thought I remembered reading that it could be used in the Cameo, so I bought it. I'm glad the impulse buy paid off! What else can I use with the felt instead of the heat in bond? This is a wonderful discovery! I bought my silhouette to cut felt and have horrible time with it! Some of the felt items I cut can use heat in bond but some cannot have anything sticky on it. Yeah, same here. I like ot make play food but you cant really put the heat n bond on it because you cant work with it after that. Try Terial Magic - look it up on youtube to see how you use it, really great stuff! Great review of the deep cut blade. I liked it so much that I subscribed right away to your blog. You mentioned cutting plastic and I have to tell you that I have had good luck cutting templates from Grafix Clear Plastic, 0.007 weight at a medium setting and double cut twice. The sheets come in a pack of 25 12"x12" sheets and cost under $10.00 at Amazon. There is also a Grafix Matte 0.005 weight. I have cut quilting stencils for marking quilts from both and have some instructions on my blog on how to adapt line drawings to stencils dated May, 2015 at https://quiltersnichenews.wordpress.com. Georgette.. I have been trying to do stencils from that material to use on cookies. No matter what settings I try, the cuts are hit and miss, some parts cut and some don't? 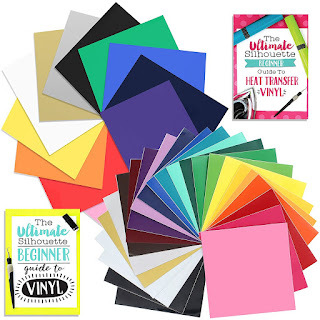 What is your secret, I am just using coloring book pages..
Great review, I have two questions , my blade won't move from the red selection, how do I get it on to blue please? Also can the caps be removed for cleaning? Thank you! This is excellent, thank you so much for such an intensive review of the deep cut on the Cameo, hope you do one on the Curio, I have a hard time getting it to cut normal craft foam (non adhesive) in shapes that are smaller than 1 cm wide, it just doesn't seem to want to cut and I have tried so many settings... the default settings in Silhouette studio are nonsense! Hope you give it a try soon, but thank you for this one, it is awesome info! What about CHIPBOARD?? I tried with a 10 setting, reg blade, and no-go. I would LOVE to be able to cut chipboard!!?? You can cut Sil brand chipboard with the regular ratchet blade. I have some other thicker chipboard ordered, but it hasn't arrived yet. When I get it I will test it and put the info in this post. Melissa, what about engraving with the cameo with it? Example would be the monogrammed bracelet leather cuff? I don't want to have to purchase the curio to do it if I don't have to. :-D Thank you for doing what you do! Love watching you on Periscope! Do you think it can cut words out of the foam? I think it depends on how large the text is and the font you pick...you can see that the craft foam - even those thin areas cut nicely so it would probably work. Would it work with the portrait? Yes! I saw this blade in the store, had to do a double take and then sadly passed it by because it said it was for the Curio! I love the results you got with the felt and am such a lover of the softness and dimension of felt so I'm very excited to see that you got such good results! Thank you so much for doing all this testing and sharing your results here!!! THANK YOU THANK YOU! I just got my deep blade but haven't used it yet. I really appreciate you sharing all your tips with us! 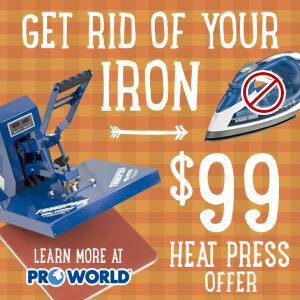 Hope this wasn't already addressed above (I didn't see it): I want to know if it cuts wool felt or wool felt blend without an iron on stabilizer. Thanks! Would you say this deep cut blade is equivalent to the CB09 blade? Or is this intended only for those thicker materials? Thanks for this article - very helpful! When using a thicker material that doesn't cut with the regular blade, but does fit fine under the rollers, would there be any need to keep the material between the rollers? In other words, is the need to keep the material between the rollers because the of the clearance height or because of the way the deeper blade cuts? 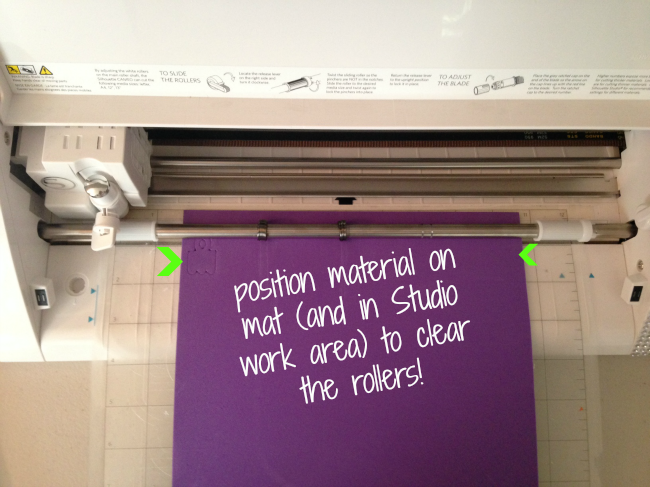 I am looking to cut Kraft-tex and it fits fine under the rollers using a Cricut strong mat to keep it in place. I didn't want to be limited to 9" width for cutting if its not necessary. On a connected, but slightly separate note, I was really excited about the new Curio coming out because I want to cut and emboss thicker materials. 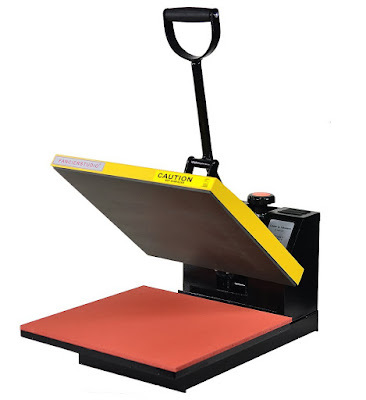 BUT, then they go and release it with a cutting mat size of only 8" x 6"????!!!! I don't understand why they would do that and its so disappointing, I would definitely have purchased it if it had the same cutting mat size as the Cameo. What a fail! thanks for the infor! I might be trying this! How do I change my blade type in the software to get cuts over 10? Mine only shows Ratchet. Thanks! there isn't an adjustment for the deep cut blade in the software because the software doesn't affect the blade. 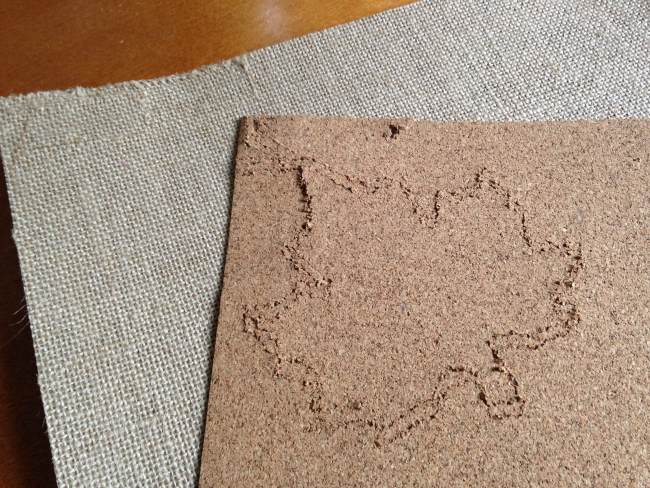 I just used it to cut wool blend felt with no backing/stabilizer (so just the felt stuck to the mat) and it was a fail. I did double cut and followed everything mentioned above for cutting acrylic felt. The blade barely cut it--mostly just outlined it and I had to then cut it myself but the blade mangled it in places. I will try it with heat n bond but the problem is I like to make felt flowers and succulents so they can't have a backing on the felt. I'll come back and update after the heat n bond experiment in case others are wondering if it works on wool felt blends (I'm not going to try my expensive 100%wool until I know it can cut the blend!). **The only thing I couldn't change was blade to 20 on the machine. I could change the actual blade to 20 but the machine only says ratchet. What about using painter's tape as a temporary backing and then peeling the tape off? I haven't even got my machine yet so I have no idea if it would work but it's something worth trying. HI all! I use the Curio and Cameo to cut polymer clay. I found that if you remove the cap for either the ratchet or the deep cut blade you can get a deeper cut. So for those materials that almost cut through, you may want to try removing the cap. Can you cut shrink plastic with this blade? I'm curious about using this to cut shrink plastic as well! what about the page dividers for a stencil? also deep cut blade vs cb09? I wanted the Dollar Tree mats to work. I almost purchased a case of those mats. I am thinking about using a milk container. I wanted to make templates also. Question; How do I input blade depth settings above 10 on the Cameo? I have Studio Designer Edition which is up to date but I don't have an option to select the deep cut blade only the reg ratchet blade. From what I read in the replies above, you manually set the blade yourself to whatever setting you need. The software will only go up to 10 and it doesn't matter there. I wonder if anyone using the new deep cut blade in either the Cameo or the Portrait have had an issue with the blade not locking in tight enough. I have tried this a couple of times tonight. The first couple of cuts do just fine but then I can see that the blade moves up in the housing just a bit. I got good cuts if I placed my finger on top but that caused it to drag across the entire surface with scratches. I thought maybe putting some washi around it might give it enough cushion to keep it in place. Anyone else have the same issue? Has anyone tried using this to cut 1/16" basswood? In my experience this DOES NOT cut any deeper than a regular blade. If you look at the 2 blades side by side the cutting tip on the regular blade set at 10 is the EXACT same length as the cutting tip on the Deep Cut at 20. I tried to cut material that is 1.58 mm and it would NOT cut all the way through with the Deep cut blade and the Cameo 2 Machine. Total waste of $20+. I have purchased the CB09 Graphtec blade holder with the 30 -45-60 degree angle blades and they work fantastic. With that said. my machine is several years old and out of warranty. I guess that would be not different that this blade. There are issues with getting a holder that is not defective and fits in the holder as they are made in China. Yet, I paid $36 for a holder and 15 blades (5 each angle). I would say that the Silhouette Blade would go dull sooner than my 15 blades. Although I have not tested all the materials you have I would guess they would do the same. Nice to know about this blade though. Thanks Melissa! When you say double, double cut, how do you do it? Just rerun the work twice while the double cut box is checked? When you tell your machine that you are cutting something thick it USUALLY will have the "double cut" box checked and it cuts around the shape twice. AND after you've cut you can hit the button that says Start (in the right hand column) and it with cut again. You can do this over and over again. It still won't cut through more than 2mm. I make stencils using Avery Big Tab Dividers .. this is best material I've found and I've tried a lot (and then some).. I love the different colors. I just tried the new deep blade and am thrilled as it cuts with just one pass ... no more double cutting !! Life is great. Hi, I'd like to know since I've bought 2 deep cut blade and when it cutting in the middle it keep shifting and the cutline wouldn't stay the same with other part that already cut..Anyone have the same problem here? 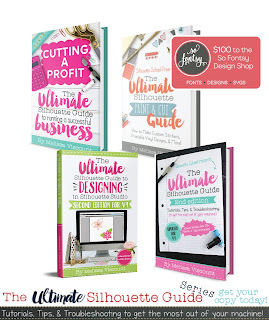 How about using those Dollar Store Cutting Mats as an inexpensive alternative to the Silhouette Cutting Mats? 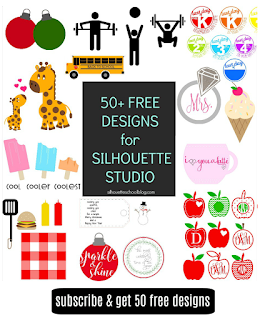 go to the Silhouette studio software. In the Upper right hand corner is the pic of the bald, which is your cutting setting. Click on that button. then choose the material from the (right side) side bar on the bottom. You will see TWO sets of arrows to go up on down. the inside arrows give you different material choices. Once that is chosen click on the outer arrows to bring up a your blade settings. Here you will find thickness (depth or pressure of blade) and speed choices. Also, a little lower will be a box to choose double cut. There are even more choices, but if you google youtube using those choices you can learn a lot. Good Luck! Hi. I've heard the new "in" thing is to have wood lettering cake toppers. Has anyone tried this using chipboard and the Cameo? Maybe with a thin enough chipboard and the deep cut blade? Sorry if this is a silly question! I have an original Cameo - would the deep cut blade work in it? I am looking to cut .75mm plastic stencil blanks for a project. I am new to the Cameo 3 and dont want to mess anything by trying it without asking for your professional advice! (I totally trust you!) Do you think the cameo with a deep cut blade can handle this? I am assuming you just wouldn't use a mat, right? I am new to the Cameo 3 and just curious if a deep cut blade can cut .75mm stencil blanks....I assume you wouldnt use a cutting mat? Your post is the best soo far when it comes to pushing the capabilities of this machine. Thank you , thank you... I plan to create a complex art project using a number of materials.